On Saturday, April 8, 2017 drop by the Art Junction between the hours of 10:30 a.m. & 1:00 p.m. 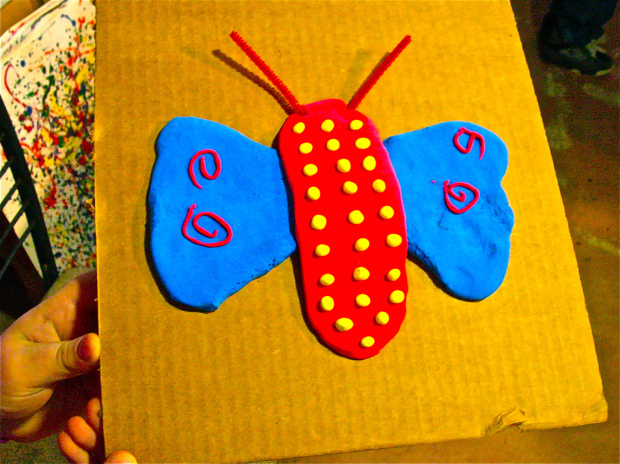 In one Saturday morning families can create their own butterfly out of sculpey clay to celebrate renewal. Enjoy a free lunch next door at the New Haven United Methodist Church along with other fun activities! Please sign up by 4/7/17 for Family Art Day. 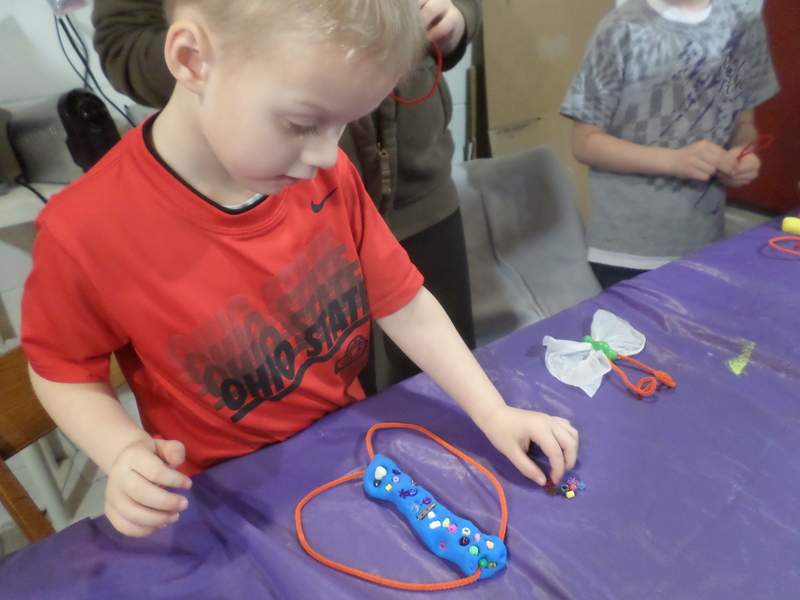 Family Art Day was all about butterflies. 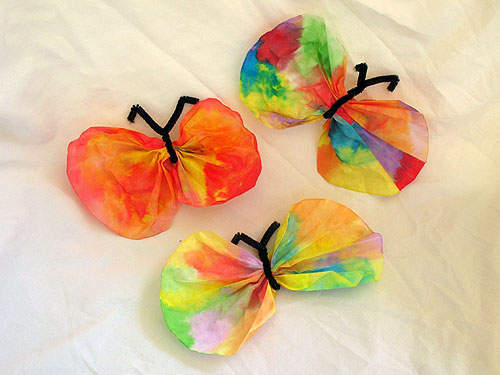 Everyone had the opportunity to transform bow-tie pasta into butterflies. There were many different ways to approach the project. It was great fun to see families create together. 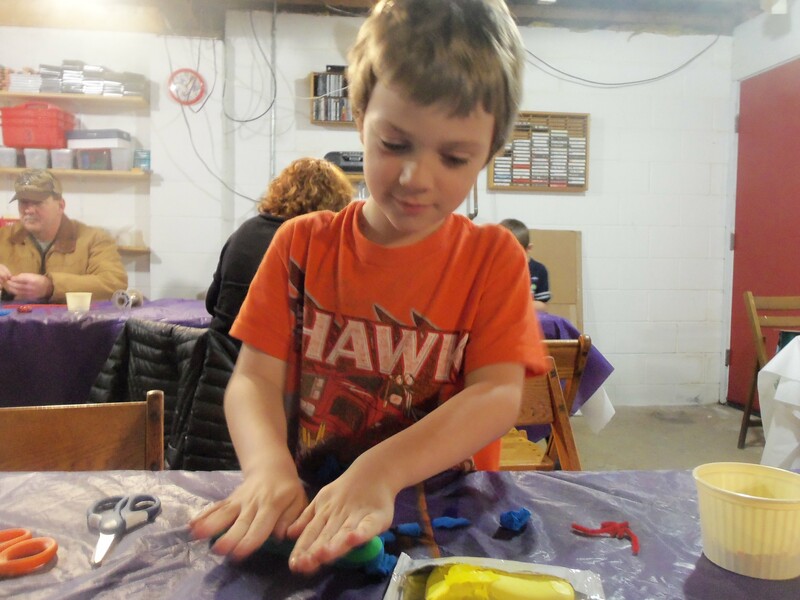 Maybe you can join us for our next Family Art Day in December. On Saturday, March 19, 2016 drop by the Art Junction between the hours of 10:30 a.m. & 1:00 p.m. 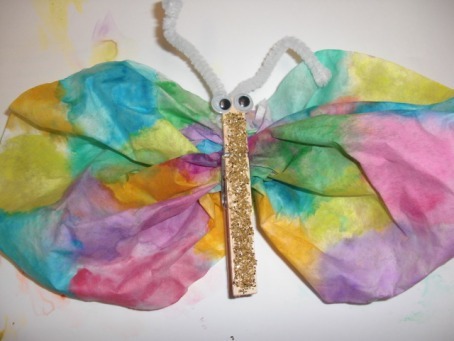 In one Saturday morning families can create their own bowtie butterfly images out of non-traditional materials to celebrate renewal. 8 artists & paintings that examine the events of Holy Week. Opening reception Saturday, March 19, 2016 11:00 a.m. – 2:00 p.m.
March 20 – 25, 2016 6:00 – 8:00 p.m.
Saturdays, April 2 – May 14, 2016 5:00 – 7:00 p.m. The Art Junction and New Haven United Methodist Church present an exhibit to examine the Passion, Death and Resurrection of Jesus Christ through visual art. We invite you to examine the events of Holy week and reconnect with the passion through a unique opportunity to discover Christ visually! Please sign up by 3/18/16 for Family Art Day. 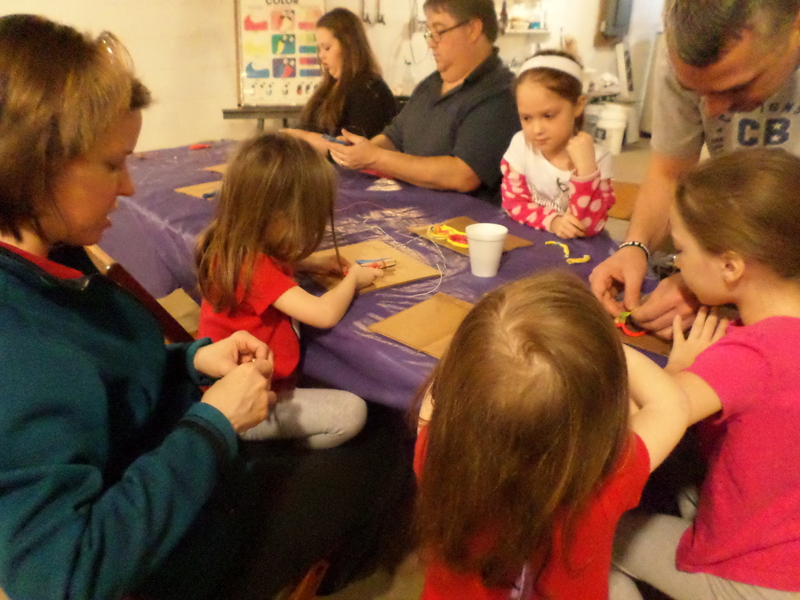 Family Art Day was held on December 5, 2015. We had a large attendance this year. Everyone enjoyed creating a candy cane from sculpey clay. 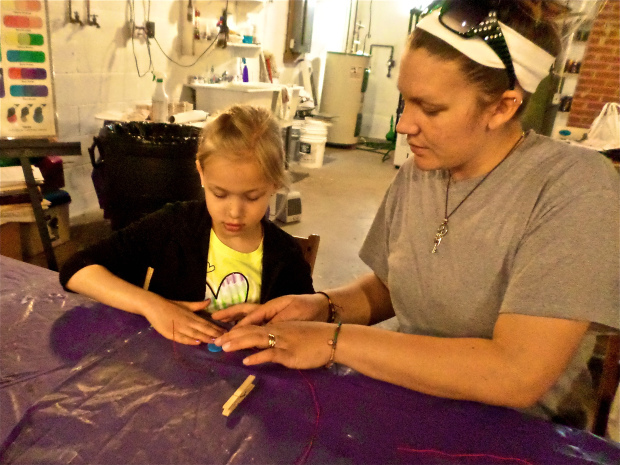 It was a fun day for families to come and build a memory together for the Christmas season. Everyone enjoyed the simple building process and working with their hands. 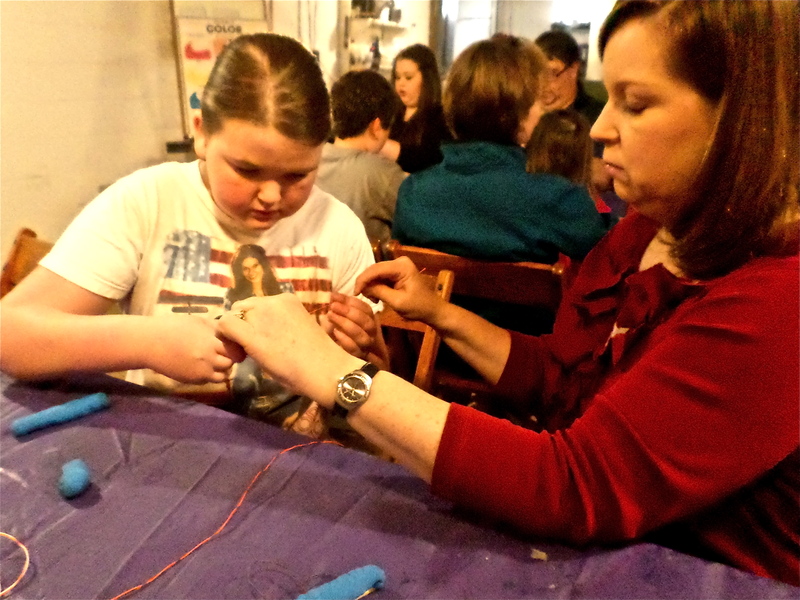 The Art Junction enjoys sponsoring events that bring families together with art to create a stronger community. There was a wonderful, wide variety of colors used to create the canes this year. 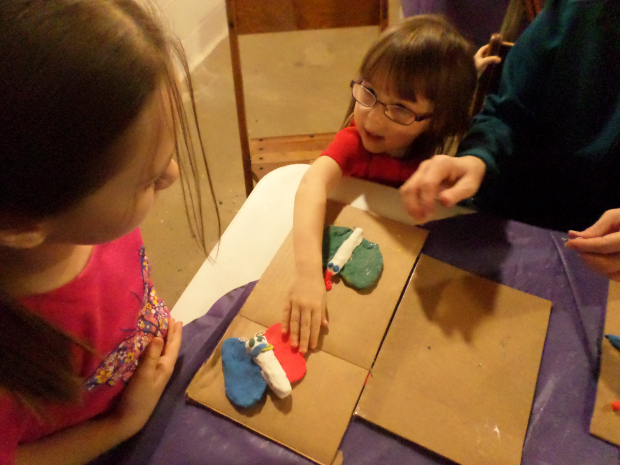 We had a great time at this year’s Family Art Day. A big thanks to New Haven United Methodist Church for helping with this event and serving a lunch along with crafts and hosting a community Christmas tree in the square this year. Thanks also to the Artists’ Open Studio for exhibiting their work during Family Art Day. 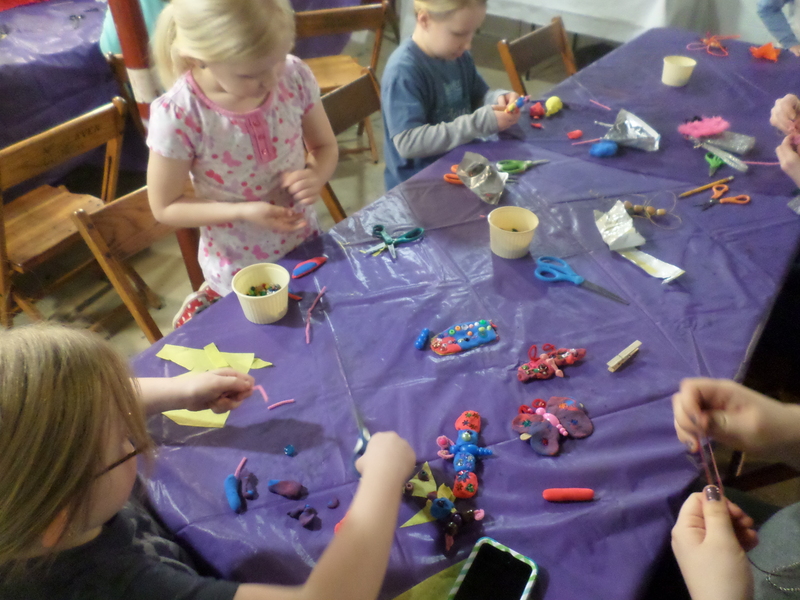 Maybe you can join us for our Spring Family Art Day coming in March 2016. On Saturday, December 5, 2015 drop by the Art Junction between the hours of 10:00 a.m. – 1:00 p.m. and create your own candy cane Christmas tree ornament out of sculpey clay. In one Saturday morning using a few hand-building skills families can create their own Christmas tree ornament together to celebrate the season. Cost is $5.00 per family (this helps to cover the cost of the materials) *and a canned food donation to the Willard Food Bank! PLUS join us as we create an ornament & decorate the New Haven Christmas tree and welcome Christmas! Enjoy a free snack lunch next door at the New Haven United Methodist Church at Family Art Day. View the artwork from Artists’ Open Studio in the main gallery of The Art Junction. Work will be on sale and makes great Christmas presents! On Saturday, December 5, 2015 drop by the Art Junction between the hours of 10:00 a.m. – 1:00 p.m. and create your own candy cane Christmas tree ornament out of sculpey clay. 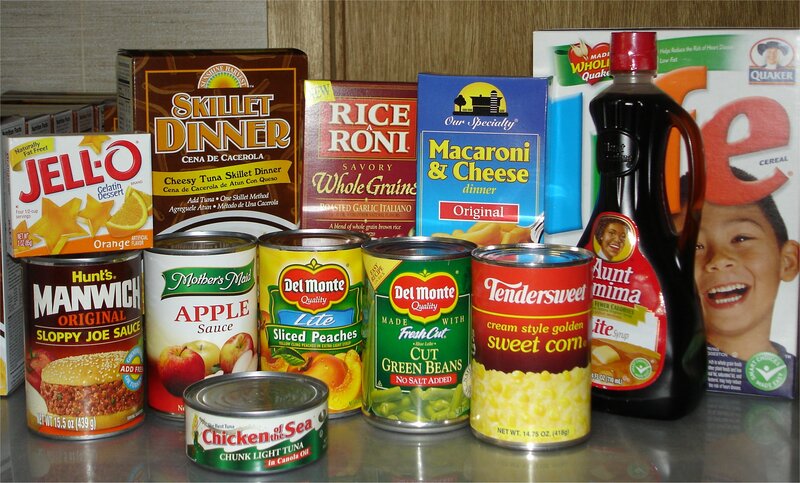 Cost is $5.00 per family (this helps to cover the cost of the materials) *and a canned food donation to the Willard Food Bank! PLUS join us as we create an ornament & decorate the New Haven Christmas tree and welcome Christmas! 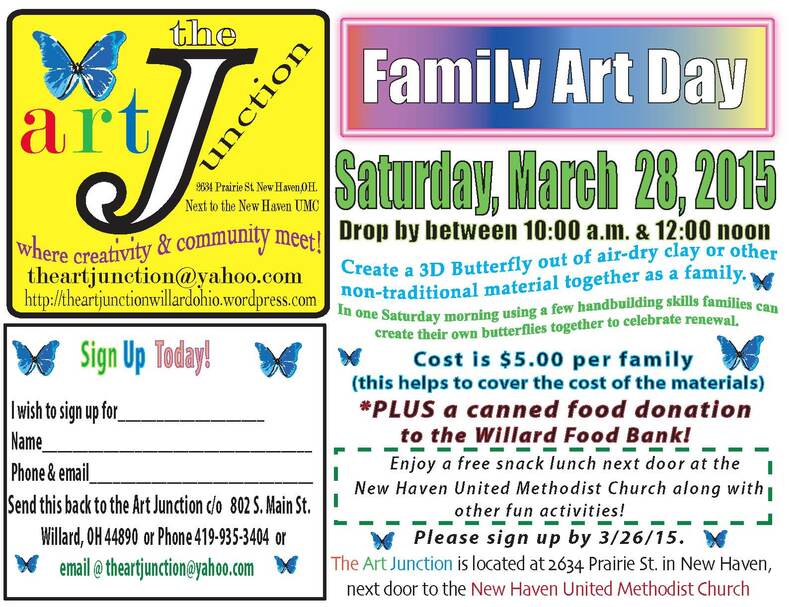 Enjoy a free snack lunch next door at the New Haven United Methodist Church at Family Art Day. Please sign up by 12/4/15. 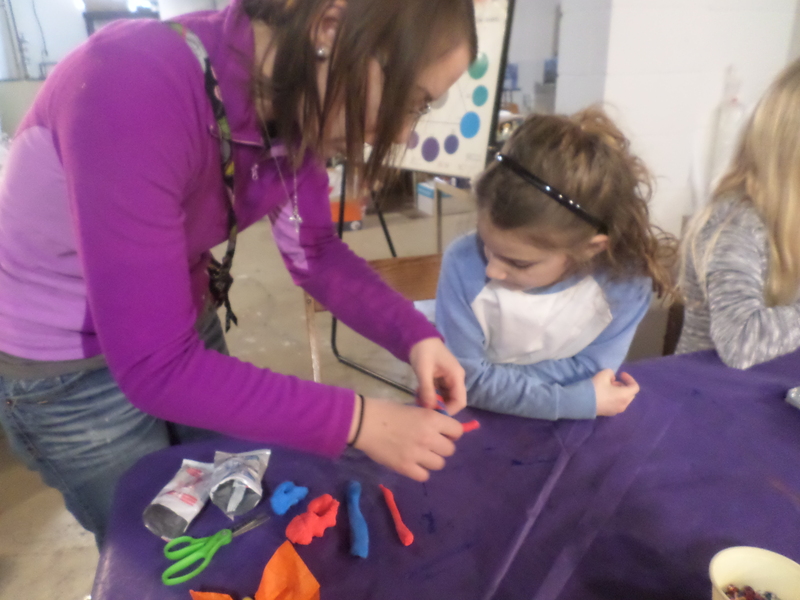 We had a great time at our spring Family Art Day. There was a very large attendance to our annual spring event. 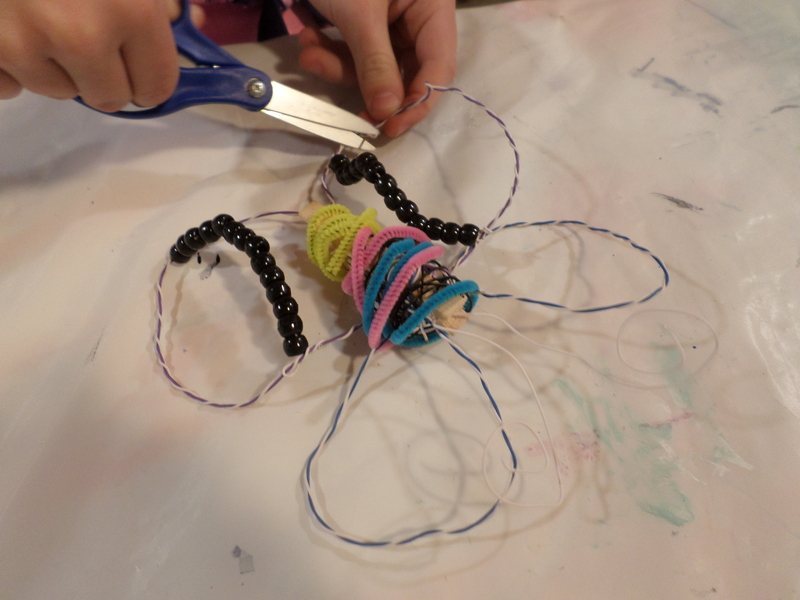 Everyone enjoyed creating butterflies while exploring new art materials. 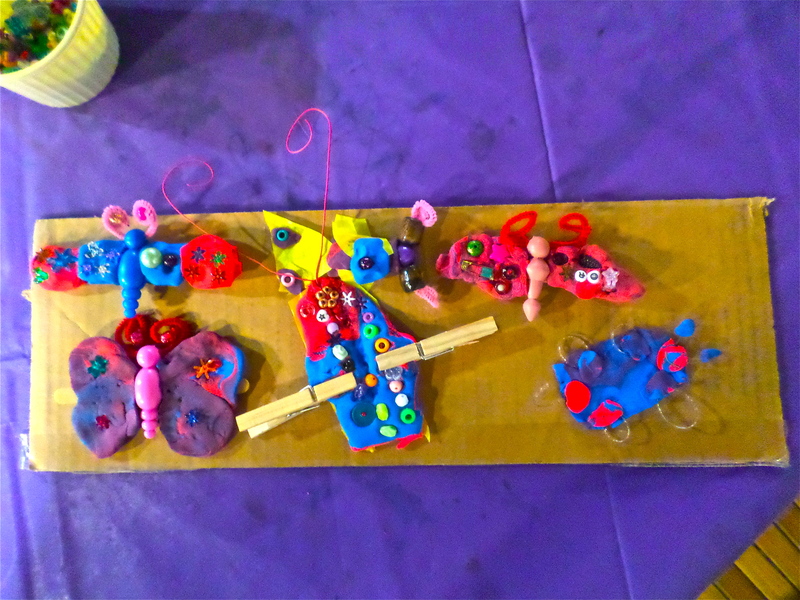 There were many wonderful butterfly creations by every participant. 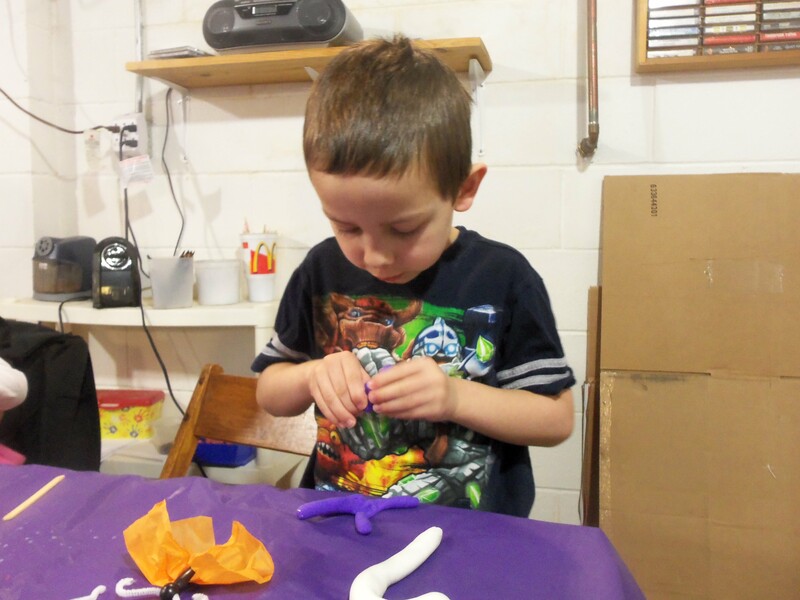 Everyone loves to build and create with their hands. 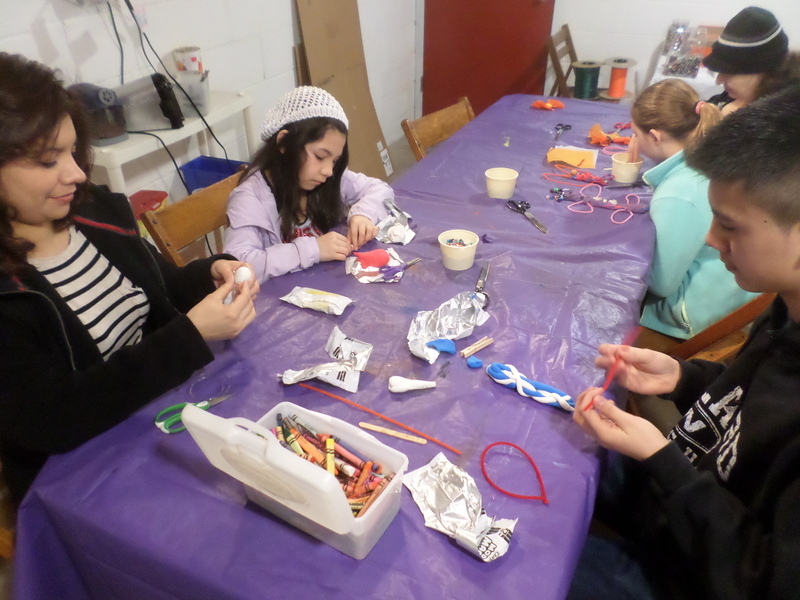 The Art Junction is a wonderful place to allow your creative energy loose. Maybe you can join us for one of our summer courses or camps coming in July. 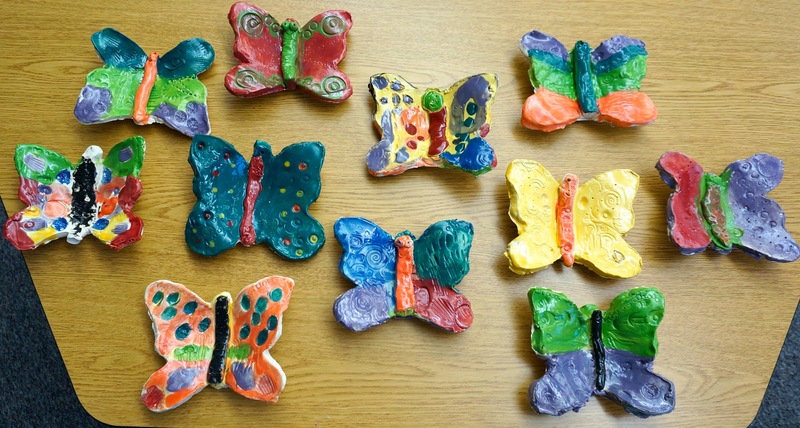 On Saturday, March 28, 2015 drop by the Art Junction between the hours of 10:00 a.m. & 12:00 noon assemble and create a 3D Butterfly out of air-dry clay or other non-traditional materials together as a family. 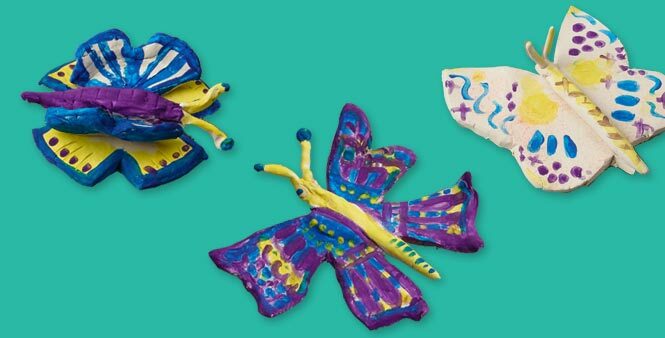 In one Saturday morning using a few hand-building skills families can assemble & create their own butterflies together to celebrate renewal. Cost is $5.00 per family (this helps to cover the cost of the materials) and a canned food donation for the Willard Food Bank!